Tropical Storm Franklin has formed in the Caribbean Sea. Franklin will continue to move west, moving over Cozumel and the Yucatan Peninsula late Monday night through early Tuesday. 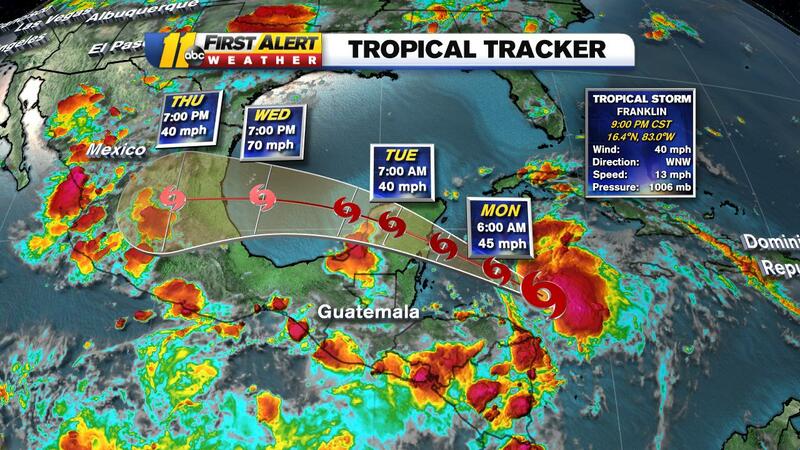 Franklin will push into the Bay of Campeche on Tuesday and it will impact the east coast of Mexico late Wednesday. Franklin will not be an issue for the Gulf Coast or the East Coast.